Rogla, Slovenia, 2019.01.29: View From Ski Lift Crossing Ski Slope With Skiers. Description: ROGLA, SLOVENIA, 2019.01.29: View from ski lift crossing ski slope with skiers. 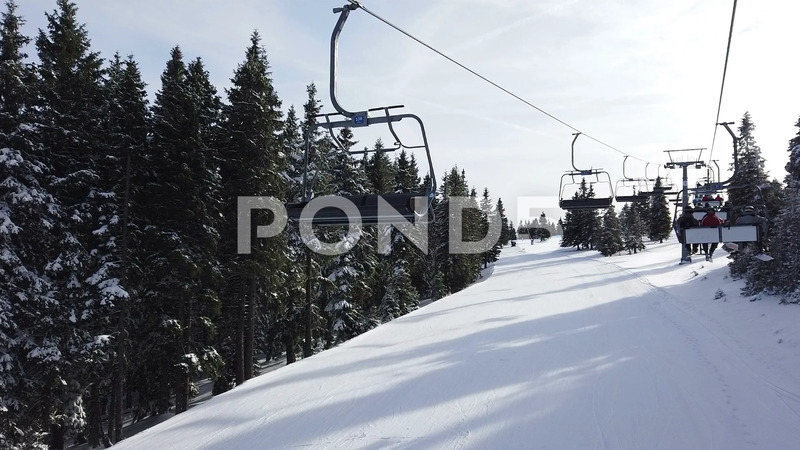 Filming beautiful ski resort on cold sunny winter day.